Online Traffic School in Three Easy Steps! DTA offers a wide variety of online courses, from defensive driving to driver license practice tests. 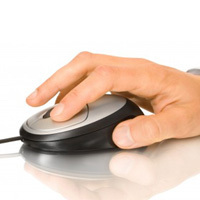 With a few clicks of your mouse, you will be registered for the course you need. Not sure what type of course you need to take? Just call us at 1-800-558-9887 and our friendly customer support staff will be happy to help you find the course you need. Protect your privacy with secure payment and registration forms. Provide U.S. based customer support to answer your questions. Resell your personal information to other companies. Flood your e-mail account with spam. Driver Training Associates collects your registration and payment data using secure forms on our host site, www.ticketschool.com. Your payment information is encrypted and our site is scanned daily to ensure that it is hacker proof. If you'd like to sign up for a course now, click the register button and select your state.